The week of the rematch in the Shamrock Bowl Conference is matched with an intriguing match up in the IAFL-1. 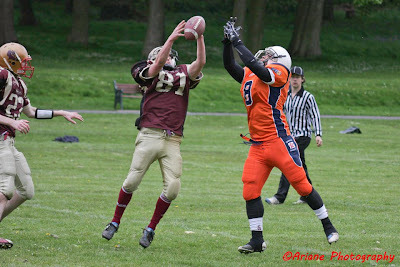 Last week the 26-6 victory for the Belfast Trojans over the Dublin Rebels gave the former a tight grip on the SBC North. Meanwhile at the opposite end of the division the Cowboys and Rhinos are looking to grab a win in an otherwise sparse season in a tough league. 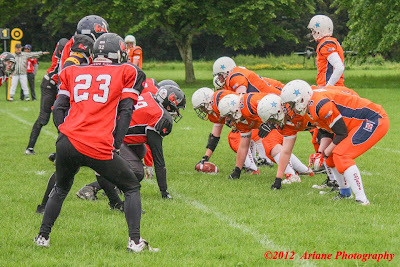 The Cowboys head south to Dublin to take on the West Dublin Rhinos who have somewhat found their feet since the first time these teams met. That result went in favour of the Cowboys, 23-0, on a poor pitch. The Cowboys have been on back-to-back hidings from Belfast and the Dublin Rebels and lost number one quarterback Peter Loughran to broken fingers. His return to fitness could be key to a late season revival, after he’d had a very productive start to the year. The Rhinos have since beat the Rebels 7-6, but then lost 14-7 to the Carrickfergus Knights. But they seemed to have stepped up to the Rhinos of the last couple of years that are hard to put points on and that grind out low scoring games. This will be a battle of a match-up and home advantage could tell. However it is wide open at this point. The reverse fixture of last week’s 26-6 victory for the Belfast Trojans sees the Rebels head North. The Trojans came out comfortable winners in the end after the Rebels had held their dynamic offence until the second half. James Mckelvey and David Richardson teamed up for a pair of scores whilst Mckelvey scored two on the ground himself, taking him to ten touchdowns overall. The top of the table Trojans are not naïve enough to take games for granted in a tough division but they will no doubt have their eyes on the playoffs and beyond. The Rebels will be looking for some revenge for last week’s loss whilst also looking to consolidate second place in the division ahead of the Knights. They will look to their defence and strong running game, Simon Mackey has scored 10 touchdowns along the ground this year to lead all running backs, to knock off the Trojans but it will be a hard task. The extended schedule of the IAFL-1 means it is rare to see a team play in two consecutive weeks but the Dragons will take to the field this Sunday after their narrow 15-12 defeat to the Tullamore Phoenix last week. Both teams are at 1-1, looking to hunt down the 2-0 Waterford Wolves at the top of the division. 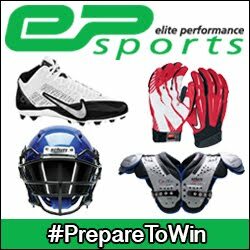 The Reapers have outscored the Dragons, putting up 10 points per game to the Dragons’ 7, but they have also conceded more per game. Could this be the shootout the IAFL-1 is waiting for?